Defining style and superior performance. 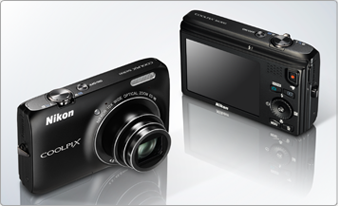 Design elegance meets high performance in one of the slimmest, most compact cameras in the 10x optical zoom class. A 10x zoom NIKKOR lens that starts at 25 mm wide-angle coverage* and the advantages of Nikon's Lens-shift VR image stabilization helps you capture consistently beautiful pictures. The ability of the Backside illumination CMOS image sensor to produce beautiful results with minimal noise when shooting at high sensitivity (ISO) settings along with its continuous shooting capabilities optimize the performance of Night landscape and Backlighting modes. 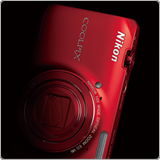 And with 16.0 effective megapixels of pure imaging power, it also yields high-resolution images. Enhance your images with unique artistic expression by applying one of the Soft, High key, Low key, Nostalgic sepia, Selective color, or High-contrast monochrome Special effects when shooting pictures or movies. Apply one of the in-camera Filter effects to shots already taken to add a creative touch. Use the 3D photography to add greater dimension to shots of still subjects. And Easy panorama makes it easy to combine multiple shots into a single panorama view.